For those making a donation to the Trident House Charities you'll be able specify at checkout. THANK YOU! NOT EVERYBODY IS READY TO JOIN THE EXPERIENCE. BUT SOME MAY BE READY TO HELP DONATE TO EITHER OF OUR PARTNERED CHARITIES. Our charitable contributions will be divided equally between the Lukas Mason Scholarship Fund and the Carl V. Bini Memorial Fund. 100% of the money donated on our site will go directly into the Zions bank account for the Lukas fund and directly to the Bini Fund. If you would like 100% of your contribution to go to a specific charity please specify at checkout. 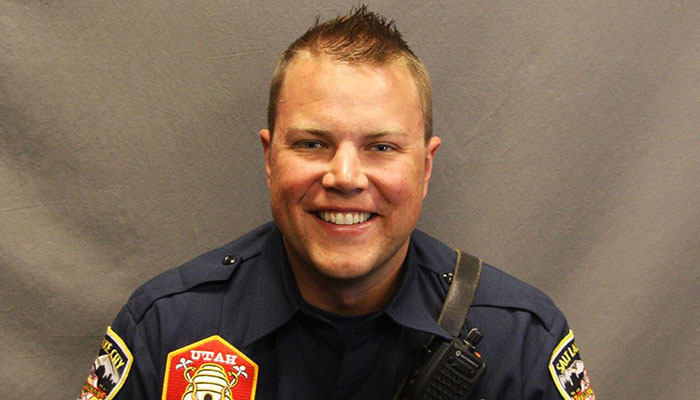 Tyson Mason was a Salt Lake City Firefighter and Life Flight Medic when he died in an automobile accident on Sunday January 22, 2017. Tyson was returning to Salt Lake City after completing a shift with Intermountain Life Flight helicopter when his vehicle was struck by another. Tyson is survived by his wife Haleigh and their son Lukas, who was 1 week old at the time of the accident. Tyson left a legacy of positivity. On numerous accounts people have shared stories of his selfless service and the love toward his family. The smile. The caring. The love. Tyson left a wake of good wherever he went and his spirit will continue to live on in those that he impacted. Lukas will feel the impact Tyson had on others as he grows. He will learn about his father through the stories and tributes that are told far into the future. This is a small part in that but we hope to carry on his legacy through our Tribute and through our donations. An 18 year veteran New York City Firefighter assigned to Rescue 5 in Staten Island, who lost his life on September 11th, 2001. The Carl V. Bini Memorial Fund was created in Carl’s memory to honor him and to continue his lifelong belief of helping others. The Bini Fund supports the community through scholarships, emergency grants and special needs assistance. The fund is uniquely positioned to adapt to the changing needs of communities, especially in times of crisis. Some of the Fund’s programs include fundraisers such as Bikers For Bini, our Golf Outing, Back to the Beach in conjunction with the Staten Island Borough President and our Annual Winter Bash. Since its inception, the organization has allocated more than $150,000 in scholarships alone to the local community. What began as a means by which to honor a fallen hero, has since evolved into a household name among Staten Island non-profits. In fact, a recent Attorney General Report listed the Bini Fund as having the biggest growth in Sandy Relief efforts vs. annual revenue. We are unique in that we can adapt to service the needs of our community at a moments notice. Examples include our funding a burn unit at Staten Island University Medical Center raising funds for local families whenever devastation strikes, and bringing the original Rescue 5 Firetruck, decomissioned after 9/11, back to New York for the first time since the attacks.